I saw a pin on Pinterest and was inspired to make this. 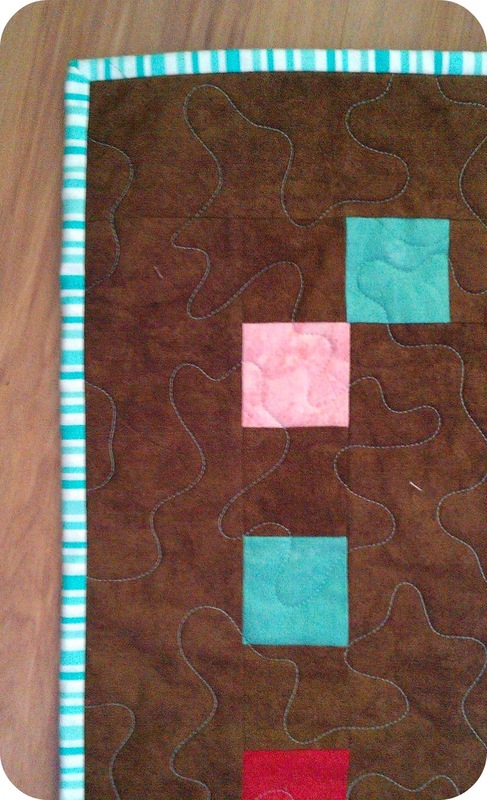 It's a simple disappearing 9patch(using PB&J by BasicGrey) than just putting the sashing in. After a quick poll on Instagram, I decided to not add a border. I am still deciding if I'll bind it in white or with some yardage. 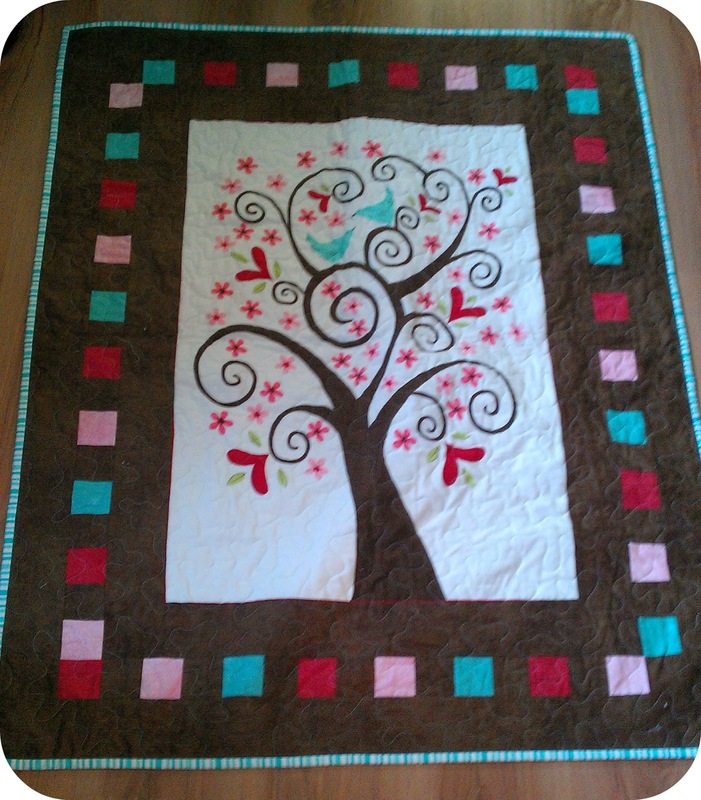 Before Christmas I was asked by our Hospice Society to donate a quilt to their gala auction. The theme for this year was Denim and Diamonds and I soon came up with the perfect quilt. 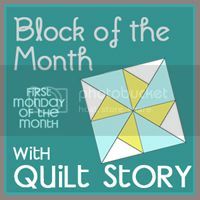 The quilt is from Camille's latest book, Simply Retro. 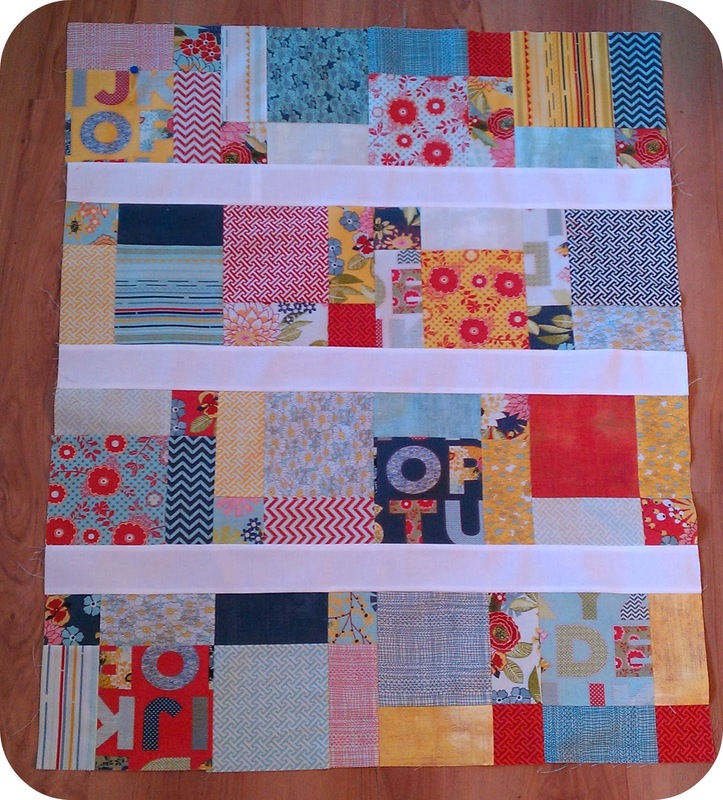 This is the Retro quilt. 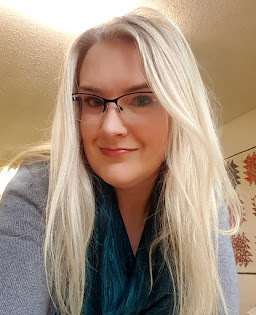 I went with Kona Snow and Denim. For the accent block, some Michael Miller Fairy Frost. I really love how it's turned out. I found this panel years ago and did it up for Valentine's Day. 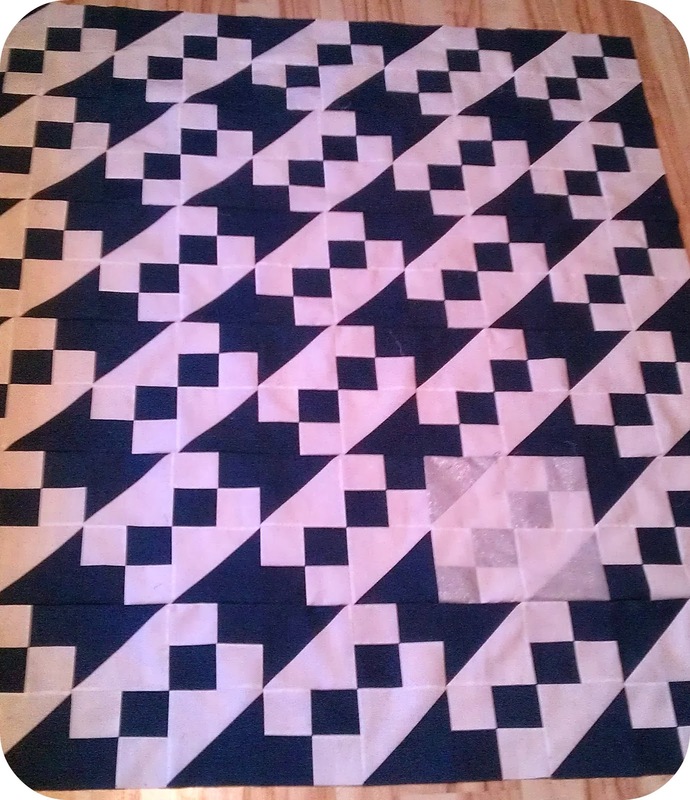 I actually started quilting it; ended up hating it so I ripped the quilting out. My sister in law loved the panel so I quilted it up with a simple meander and sent it off to her. Pretty sure my favorite part is the aqua binding. What happy fabric. You have some great projects.